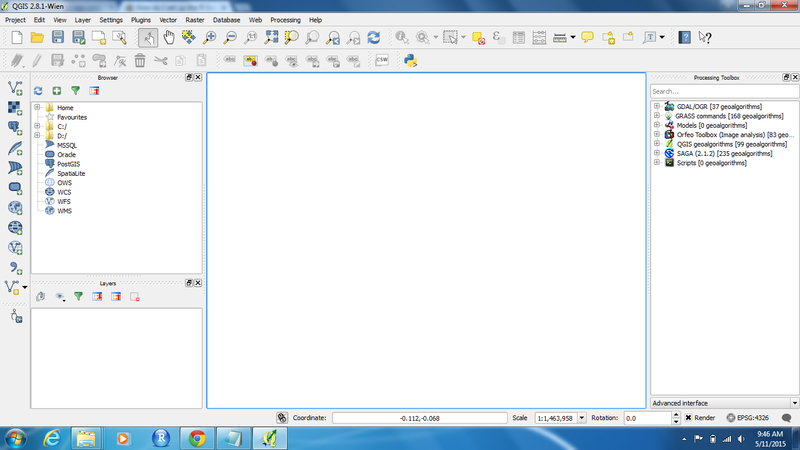 I am currently lacking the R Script folder in my processing toolbox under the advanced interface tab. I suspect this could be a result of the firewall in my company's wifi. I already have R installed, just need to figure out how to link it. Preferably a method that does not require administrative rights. 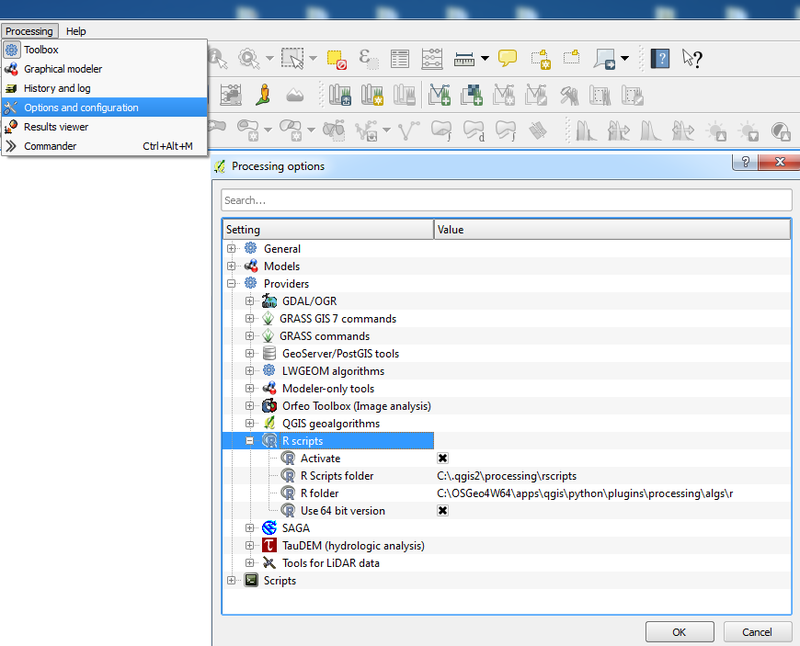 Select from the toolbar, Processing > Options and configuration > Providers > R scripts. Set the directory to where you installed R and make sure you enable Activate. Once done then click OK and you should see it in the Processing Toolbox. If not then try restarting QGIS. Not the answer you're looking for? 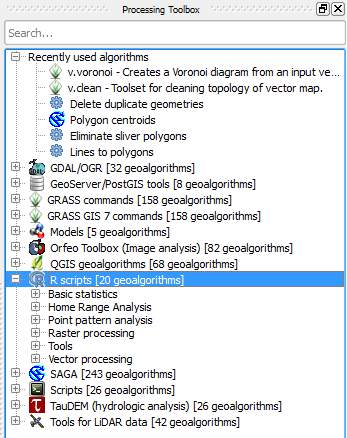 Browse other questions tagged qgis r qgis-processing toolbox or ask your own question.